Alibaba, the Chinese e-commerce mega corporation has opened the world to the countless possibilities that come from conducting business over the internet. Jack Ma and his team weren’t the first in the online commerce game but they managed to play an instrumental role in bringing the massive Chinese producers market to doorsteps around the world. One of its subsidiaries, AliExpress, has also managed to create this impression in Zimbabwe. The online retail service has offered bargain hunting Zimbabweans and resellers an avenue for picking up competitive deals on products that traditionally have high markups in other import markets like South Africa. Accessing the service is fairly simple. As long as you have enough internet to log onto the AliExpress website and you can complete online purchases using easy to access plastic money alternatives available in Zimbabwe (even EcoCash’s debit cards work on AliExpress) while being reasonable enough to handle the charges attached to collecting your goods, it’s an option that you can explore. You can read more on how to buy goods on AliExpress and bring them to Zimbabwe by following this link to an article that outlines the steps to take. Where does AliExpress score points? So why should anyone use AliExpress to buy their next mobile device or a new set of accessories for their phone when the local market is teeming with providers that can spare someone the hassles of goods bought online? 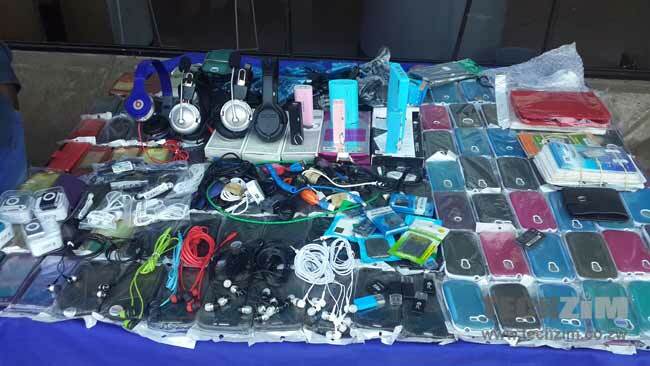 Street vendors have flooded the market with consumables. 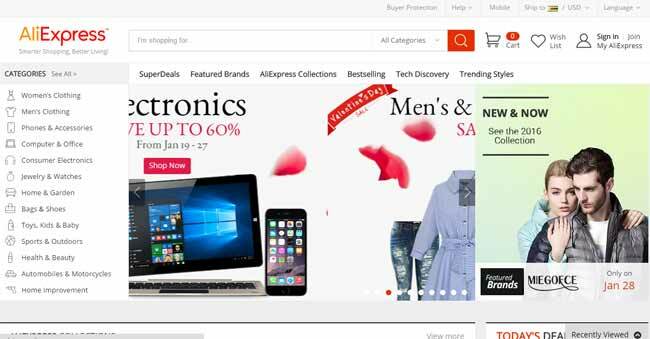 It turns out that besides the generic benefits that come from online commerce such as the ease of price and product comparison people prefer AliExpress for some very simple reasons. In a quick survey among members of Techzim’s WhatsApp groups, people who have used AliExpress in the past 4 months point to the competitive prices offered on an extensive range of products. It’s actually a double-edged competitive advantage which marries two important considerations in shopping and retailing – price and choice. When they are complementing each other, anyone, especially the average Zimbabwean who is normally restricted to a limited set of options is easily sold on to any retailer or platform’s the huge benefits. There’s also the shipping and delivery process which has so far been reported to work efficiently. One of the hurdles in bringing in any sort of product is that nightmare that comes in arranging shipping followed by the anxiety of delivery and peaking with the long drawn processes for collection. By most indications AliExpress has fared well with goods arriving safely and the local postal service company Zimpost rising to the occasion here with an easy process for collection. Even ZIMRA which will take what it’s owed has simple to understand procedures for payments on duty. All this has contributed to the rising prominence of AliExpress as an option for buying consumables, so much that some small-scale retailers consider it as a good stop gap measure for orders that are made before any major shipment is brought in. An easy to use payment system, a wide variety of goods, competitive pricing and safe and secure delivery. While these factors all seem simple to understand and are a bit of an afterthought, some or most of them are left out by some e-commerce startups. Perhaps they should also look at what AliExpress is doing right and pick out how to make that work for their own platforms. In light of the current Zimra changes, what effect would these have say someone bought a $120 phone with free shipping? I thought zero duty on cellphones was lifted last year, @mdu, r u sure its only 15%? i wish you could write like this for Zim companies. I have been using aliexpress for a long time now. Recently however I have been getting the schock of my life when I go to collect my parcels at the post office. Phones are currently being charged 40% duty (they tell you it’s a flat rate) – from experience. If you are charged duty and are collecting from the post office, you will be charged $10 clearance fee by the post office instead of the usual $2. By the way, now everything with a value of $10 and above will attract duty. Duty on phones were reinstated last year around August, if i remember well. i want to buy a phone,almost $250 and get it delivered thru DHL, will duty still be charged on the 4n? Yes, you will charged duty @ 40% which is $100. Then DHL will charge you it’s clearance fee of $50. However, you elect to go clear it yourself at the airport, in that case, you will pay the $100 duty and a $25 fee to DHL, instead of $50. Sometimes Zimra can be unfair , a week ago l went to the post office to collect a hard-drive case which l had bought for $10.99 with free shipping on aliexpress and l was charged customs duty fee of $18 and including the clearance fee of $10 totaling $28 .It felt more like daylight robbery. The value for duty purposes is usually 40% of the cost of the product being imported + cost of shipping (where applicable) + cost of clearence. So let’s say you buy a phone for $100, free shipping then $10 clearing, duty will be 40% of $110. So it is not daylight robery. You can go on their website and check out how they calculate the duty. Hie guys has anyone bought a mobile phone from China through free shipping and it arrived? Yes, I bought my phone on Aliexpress and several other items with free shipping. I’ve never lost a package from Aliexpress. Choose a seller providing free shipping via China Post, it’s the fastest, 21 – 30 days to arrive in Zimbabwe. i wanna try to use free shipping for a mobile phone please be honest. The post office servicing your area. If your address is in Avondale, you collect from your avondale post office, if it’s in Mbare, you collect from the Mbare post office etc. How about buying hair with free delivery on aliexpress. Does one pay duty and what is the fee ?? When assessing duty of cellphones how does zimra work it ut.Do they use provided invoices or they just make guesses of the probable price?